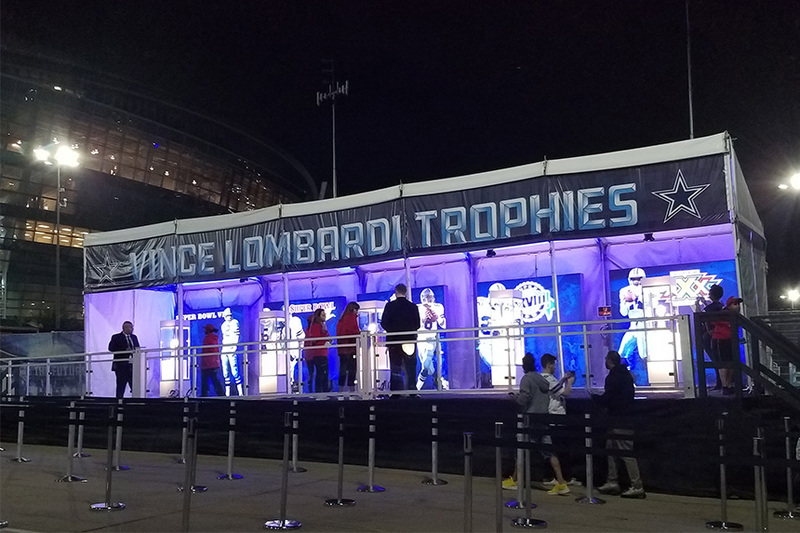 From its humble beginnings in 1965 when 6,000 fans would spend the night outside Radio City Music Hall in New York for a free ticket, the NFL Draft has since transformed from an event into a spectacle. 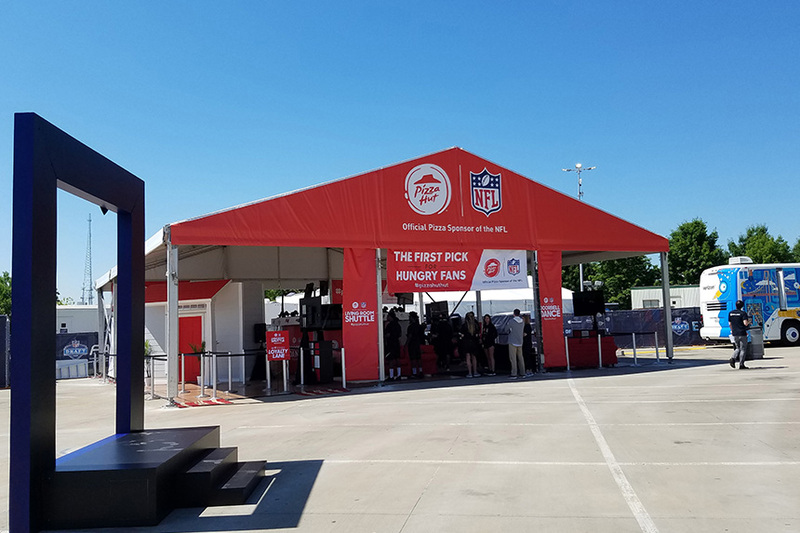 Three years after the 2015 event was the first to feature an outdoor component in Chicago, a record-shattering 400,000 fans gathered in Arlington, Texas to celebrate the league’s newest players. 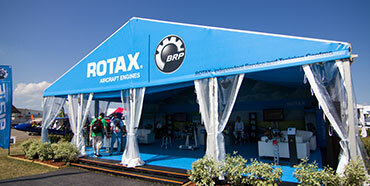 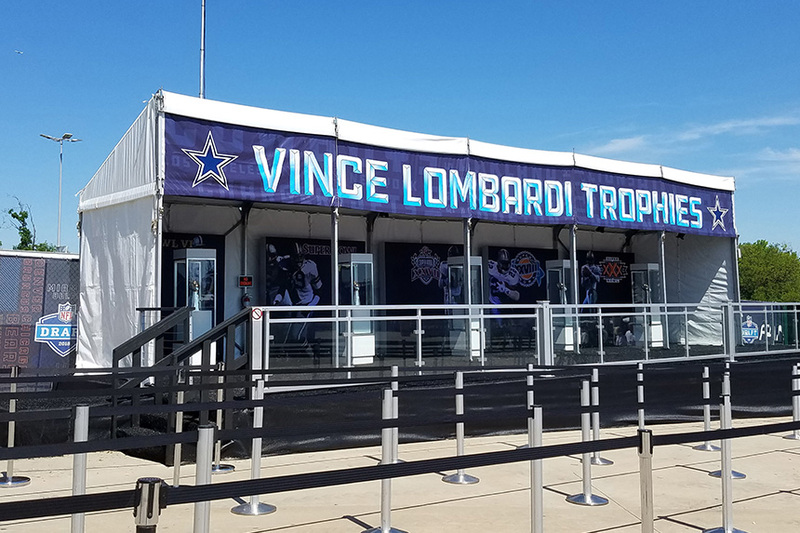 For this massive festival, Arena Americas provided nearly 40,000 square feet of structure, including two single slope structures housing the Vince Lombardi trophies display and the NFL virtual reality experience; a 20m x 25m arcum tent for the NFL locker room; and standard clearspan tents for a variety of other experiences such as a NFL museum, Pizza Hut, and the College Football Corner, to name a few. 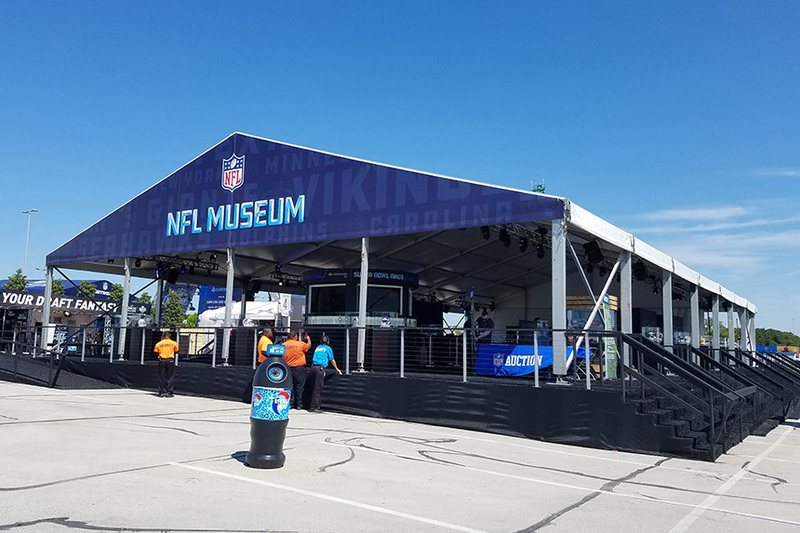 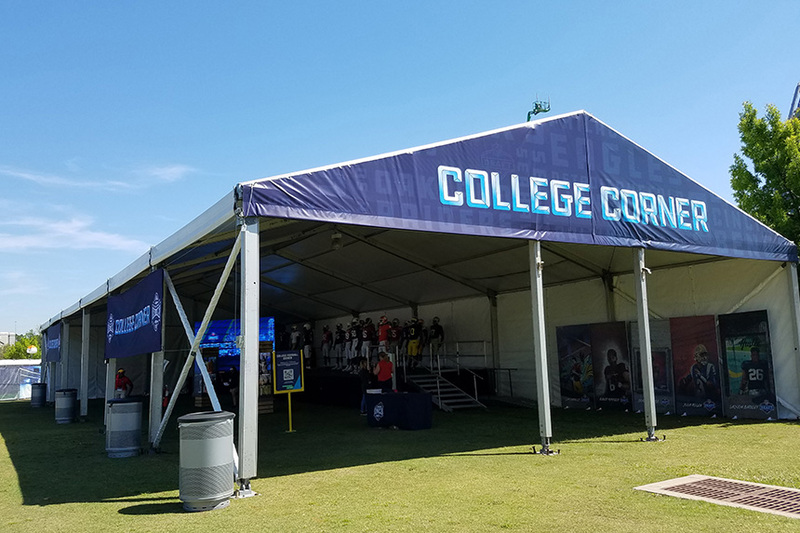 There were also three scaffold decks totaling 12,828 square feet and over 100 frame tents to accommodate interactive activities such as exhibits, autograph-signing, and more! 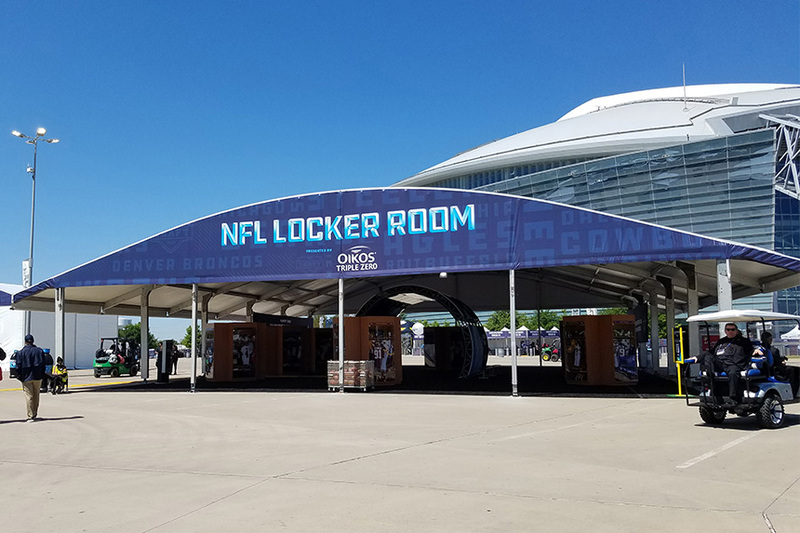 In addition, Arena Americas also provided custom print graphics for all gables and front faces of the clearspan structures, as well as sponsor graphics for Sleep Number and Pizza Hut. 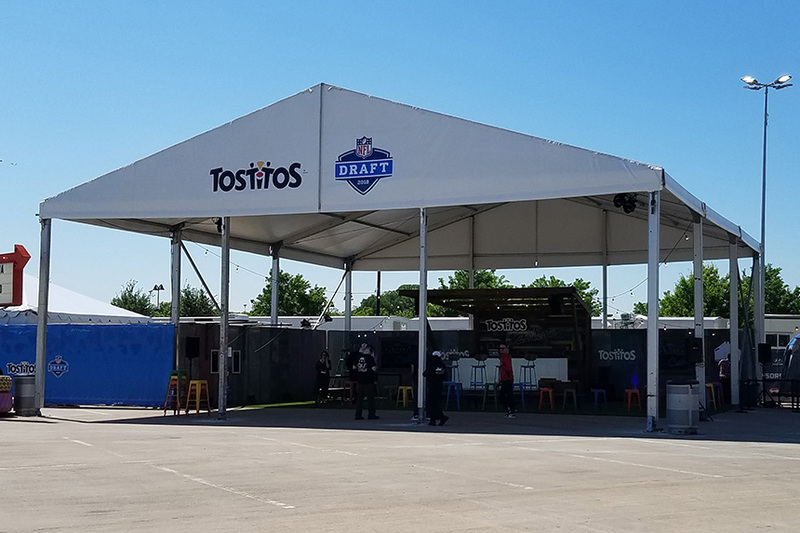 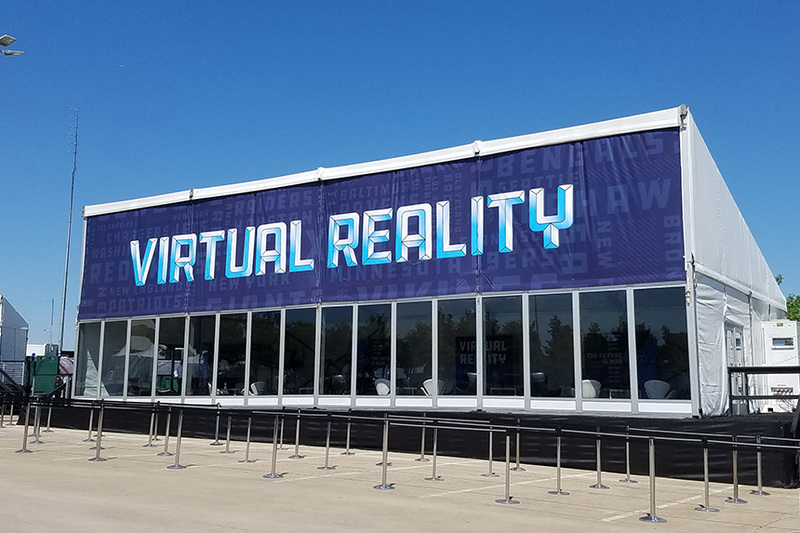 The 2018 event took over the entire field, stands, and outdoor plaza, spanning the length of 26 football fields and is the largest footprint ever created by the NFL.